Hospital car parking charges should be lessened for long term patients, Fine Gael Senator, Tim Lombard, has said. Minister for Health, Simon Harris has ordered a national review of hospital car parking charges. 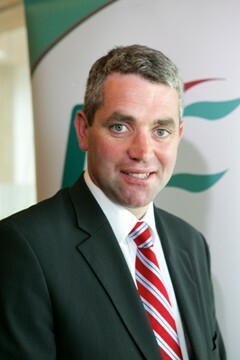 Senator Tim Lombard began his political career as a Cork County Cllr and is now a Senator. Cork based Senator Lombard said: “Fine Gael is tackling the issues that matter most and it is only right that patients, who are constantly using car parking facilities at our hospitals, are treated fairly. “It is hard enough for any patient attending a hospital to go through their own health difficulties or procedures. We in Fine Gael are determined to ensure that everything possible will be done to lessen their hardship. Senator Lombard also said this is the first time that the car parking hospital issue has been tackled and he fully supports the Health Minister in his efforts on this costly subject. Minister Harris said: “I have now asked the HSE to carry out a review of hospital car parking charges, with the aim of establishing clear national guidelines. “I have asked the HSE to engage with the Irish Cancer Society and other patient advocacy groups, in order to ensure that the review takes account of the circumstances of patients, particularly those who require long-term care. “This review will examine existing arrangements within hospitals, the financial impact of parking charges on patients and families, the data in relation to the income generated from these charges, and any other factors. “It is my intention that we will then have clear national guidelines on this area for the very first time,” Minister Harris said.